Yes, it’s a bit tongue in cheek, if not actually cheeky. 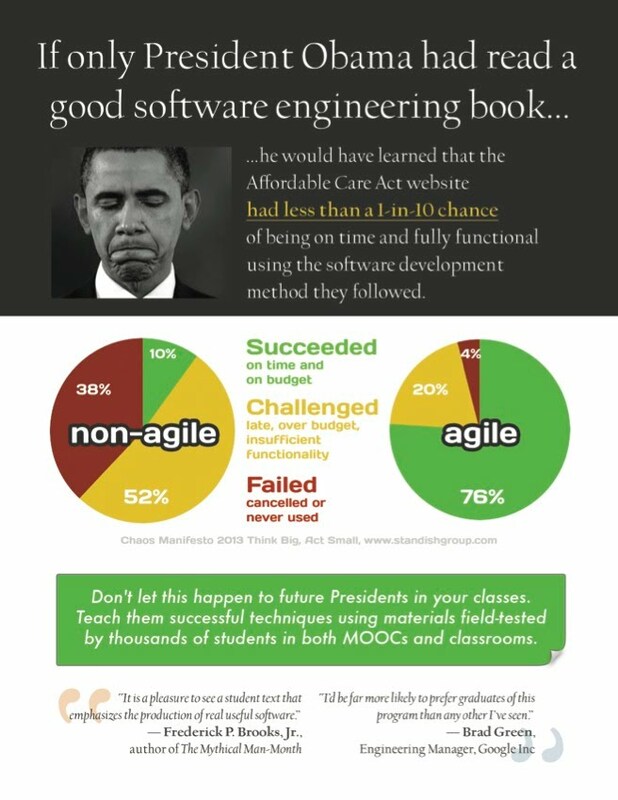 But it’s sadly true that too many undergraduate software engineering courses focus solely on top-down, plan-and-document development methods, even when other methods such as Agile methods have been demonstrated to give better results for many types of software, including software as a service. 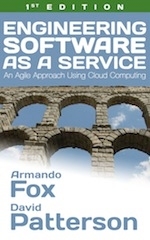 Indeed, Amazon’s service-oriented ecosystem is a demonstration of the power of adopting a service-oriented approach in which each service in a complex interconnected system is developed and operated (“you build it, you own it”) by lean, agile, “two-pizza” teams. Students & Practitioners: take the free BerkeleyX MOOC, Engineering Software as a Service, at edX and learn these great techniques today. Instructors: We developed this material for the undergraduate Software Engineering course at UC Berkeley. We invite other instructors to get a free evaluation copy of the book and consider becoming part of the growing community of instructors using this material in their classrooms, maybe even with the help of autograded assignments in a SPOC.